CRAFTED FOR COMFORT, BUILT FOR BATTLEThe VOID PRO RGB Wireless headset provides exceptional comfort, epic audio performance and legendary CORSAIR durability to deliver the ultimate gaming experience. Microfiber mesh fabric and memory foam ear cups let you play for hours while providing airflow and comfort. Enjoy the precision of custom tuned 50mm speaker drivers and an all new noise cancelling microphone for crystal clear communication. Advanced 2.4Ghz wireless technology delivers up to 40ft range, up to 16 hours of battery life and Dolby Headphone 7.1 surround sound. RGB lighting control and CUE software enable virtually unlimited colour options and syncing with other CORSAIR RGB devices. PRECISION GAMING AUDIO Specially tuned 50mm neodymium drivers bring the action to life with brilliant range and precision. They greatly reduce the overloading and distortion that can occur with gaming headsets that use smaller drivers that aren’t up to the task. You’ll get more accurate sound reproduction, particularly for the all-important low-frequency effects. Genuine Dolby 7.1 surround delivers immersive multi-channel positional audio on PC that puts you in the middle of the action. SUPERIOR WIRELESS PERFORMANCE The VOID PRO RGB connects via USB transmitter to YOUR PC and works effortlessly from up to 40 feet away. Low Latency 2.4 GHz wireless provides accurate and crystal clear sound which has up to 16 hours of battery life for gaming marathons. Upgraded antenna design enhances coverage and improves performance even in the most demanding conditions. Discord Certified Play with the confidence that your microphone and audio drivers have been tested and evaluated for crystal clear communication and outstanding sound. All new unidirectional noise cancelling microphone with LED mute indicator reduces ambient noise for enhanced voice quality. 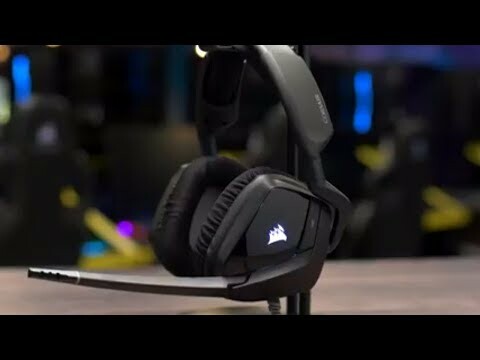 CREATE YOUR OWN PRESETS CORSAIR Utility Engine (CUE) software gives you complete control over your headset’s features through an intuitive and simple to use interface and lets you sync with other CORSAIR RGB devices. Express yourself with virtually unlimited color options at your fingertips. 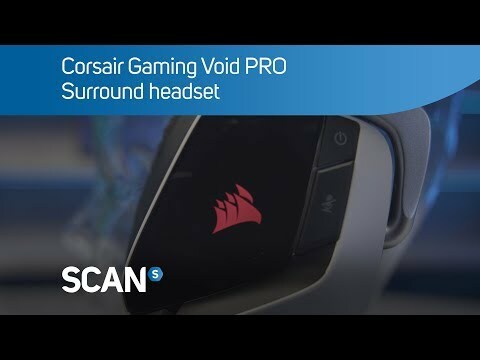 Corsair VOID PRO RGB Wireless Premium Gaming Headset, White, USB Dongle, 50mm Drivers, Dolby 7.1 Surround, Refurbished is rated 5.0 out of 5 by 2. Rated 5 out of 5 by Rhyz from Best headset yet ! 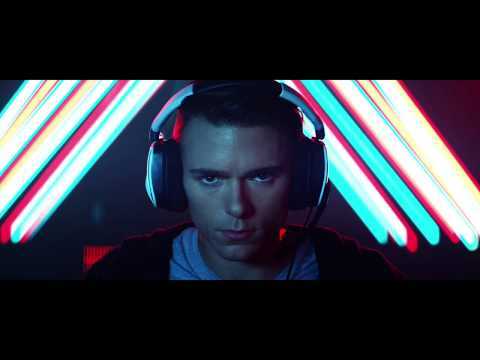 I've had a few headsets but nothing has come Close to this. Although it's a refurb (not that you can tell) It works great and the mic has auto mute setting when in the upward position, the sound quality is great and can be adjusted with the headset itself. The fact they are wireless as well makes them even better for gaming. Rated 5 out of 5 by Gazzabwoy from Both worked flawless Bought two of these for my daughters and for the price I can't fault them. Both worked perfect straight out the box. Are these cross platform or PC only?